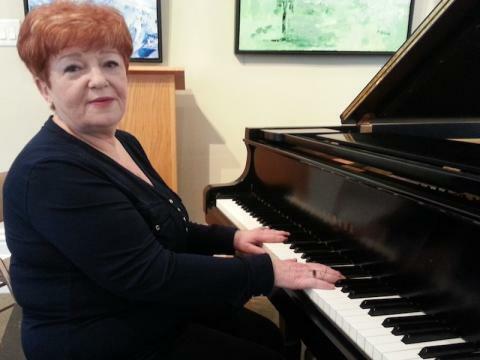 Ida Neufeld has more than 25 years of experience teaching piano and Suzuki piano, including 18 years as a faulty member at the Royal Conservatory of Music. Ms. Neufeld graduated from the Lviv State Conservatory with a Master’s degree in Piano Performance and a degree in Piano Pedagogy. Her training has given her a wealth of knowledge to train pianists to the highest levels of performance. Ida is a very skilled Suzuki Piano teacher. Ida completed her Suzuki training at Queen’s University, where she studied with Valery Lloyd-Watts, and she has also studied with Dorothy Jones at the University of Western Ontario. Throughout her career, Ida’s students have participated in non-competitive Suzuki festivals, Kiwanis and Peel Festivals, and completed RCM examinations with consistently excellent results. In addition to teaching, Ida is also active as an adjudicator.